This entry was posted in Conference and tagged Computer Vision, Conference on February 19, 2015 by Mark. 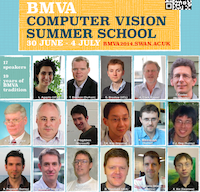 BMVA Computer Vision Summer School 2014 was successfully hosted at Swansea from 30 June to 4 July 2014. A total of 67 delegates from 14 different countries ( 21 from outside UK) were attending the 19th edition of this summer school. 17 speakers from both academia and industry delivered 19 lectures and 2 lab sessions. 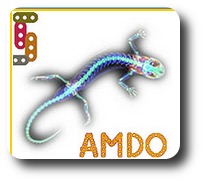 Click here to visit the summer school website. This entry was posted in Conference and tagged Computer Vision on July 29, 2014 by Xianghua Xie. attracted 258 delegate from 25 countries throughout the world. This entry was posted in Computer Graphics Forum, Conference, Eurovis and tagged Conference, Eurovis, Visualization on June 14, 2014 by Mark. Noise removal for Monte Carlo global illumination rendering is a well known problem, and has seen significant attention from image-based filtering methods. However, many state of the art methods breakdown in the presence of high frequency features, complex lighting and materials. In this work we present a probabilistic image based noise removal and irradiance filtering framework that preserves this high frequency detail such as hard shadows and glossy reflections, and imposes no restrictions on the characteristics of the light transport or materials. We maintain per-pixel clusters of the path traced samples and, using statistics from these clusters, derive an illumination aware filtering scheme based on the discrete Poisson probability distribution. Furthermore, we filter the incident radiance of the samples, allowing us to preserve and filter across high frequency and complex textures without limiting the effectiveness of the filter. Ian C. Doidge and Mark W. Jones. CGI 2013, The Visual Computer 29(6-8),707-616, 2013. The final publication is available at www.springerlink.com. This entry was posted in Conference, Publication and tagged Conference paper, Journal paper, Path Tracing, Ray Tracing on June 12, 2013 by Mark. Researchers from Swansea, Cardiff, Aberystwyth and Bangor all attended the 2013 RIVIC graduate school in Bangor and Portmeirion 10th-11th April. 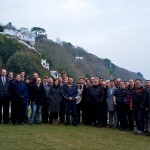 Portmeirion was a great setting for the conference – we took over all of the village and some of the castle. We had lots of great talks from PhD students, researchers, lecturers and guest speakers of Hans-Peter Seidel and Min Chen. This entry was posted in Conference and tagged RIVIC on April 19, 2013 by Mark. Ben Spencer and Mark W. Jones have again won the Computer Graphics Forum cover competition. 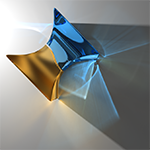 The winning image will be used throughout 2013 as the front cover image of the journal Computer Graphics Forum. The image shows a visualisation of the parameter space of photon trajectory from the emitting light source. 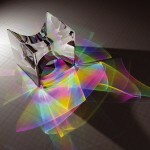 When encoded into the photon map, this can be used to distinguish overlapping light envelopes typically associated with caustics. This enables more accurate density estimation along overlapping illumination, thus producing more accurate renders. The technique is described in an upcoming Eurographics 2013 paper. See their previous prize winning entry for 2009. 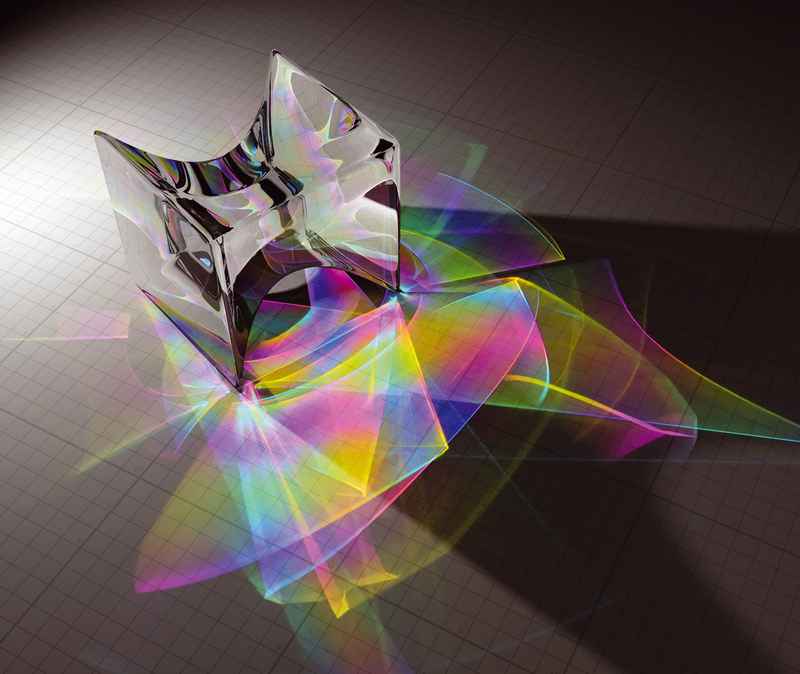 This entry was posted in Computer Graphics Forum, Conference and tagged Award, Photon Mapping on February 25, 2013 by Mark. Dr. Xianghua Xie was invited to deliver a keynote presentation at the 8th Conference on Articulated Motion and Deformable Objects. His keynote was titled “Deformable Model in Segmentation and Tracking“. This entry was posted in Conference and tagged Computer Vision on July 10, 2012 by Xianghua Xie. 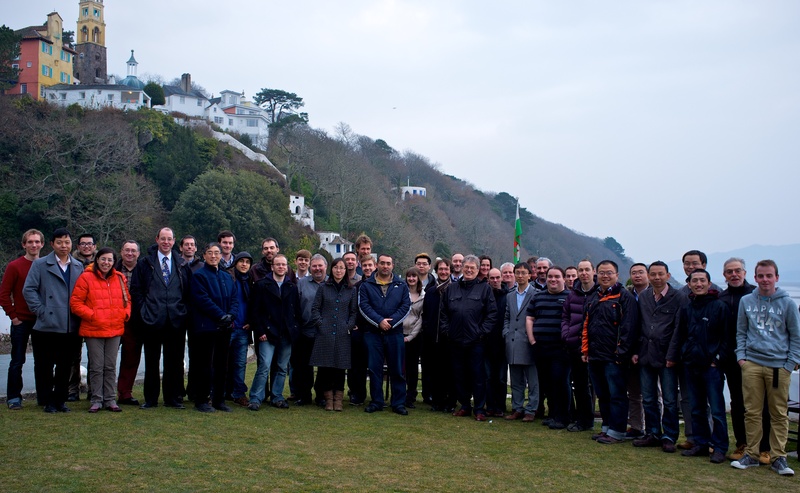 The 16th Conference on Medical Image Understanding and Analysis (MIUA) was held at Swansea University this year. 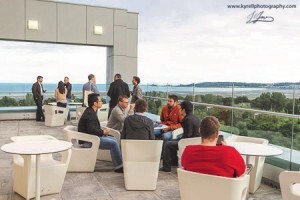 Swansea University is set in rolling parkland overlooking the majestic sweep of Swansea Bay. The campus is a stone’s throw from the old fishing village of Mumbles and a short distance to the Maritime Quarter. The University enjoys a prime position overlooking Swansea Bay, the start of the famously dramatic Gower coastline. MIUA is the principal UK forum for communicating research progress within the community interested in image analysis applied to medicine and related biological science. 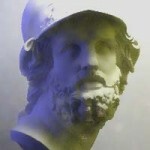 This entry was posted in Conference, MIUA and tagged Computer Vision, Conference, MIUA on July 9, 2012 by Mark.